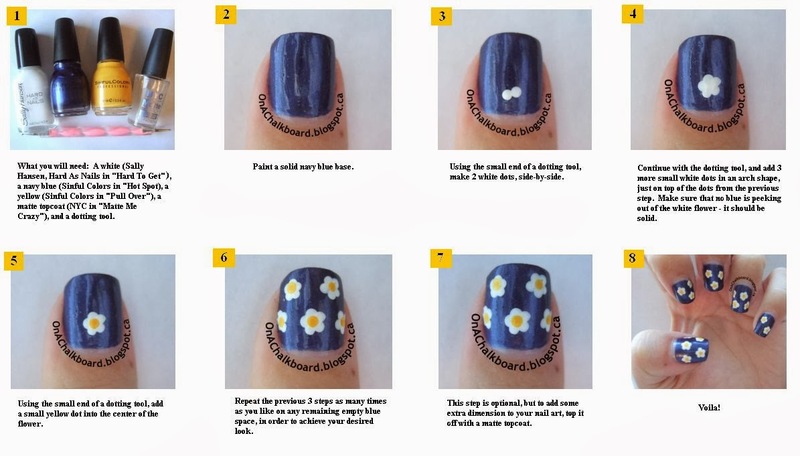 As promised on my teaser NOTD post, here is a full step-by-step picture tutorial on how to achieve these nails. 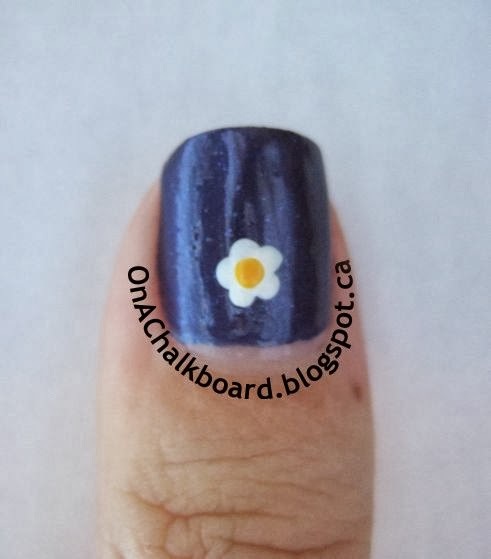 What you will need: A white (Sally Hansen, Hard As Nails in “Hard To Get”), a navy blue (Sinful Colors in “Hot Spot), a yellow (Sinful Colors in “Pull Over”), a matte topcoat (NYC in “Matte Me Crazy”), and a dotting tool. Paint a solid navy blue base. 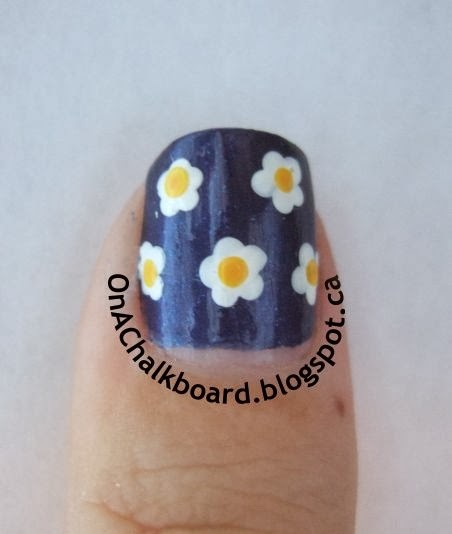 Using the small end of a dotting tool, make 2 white dots, side-by-side. 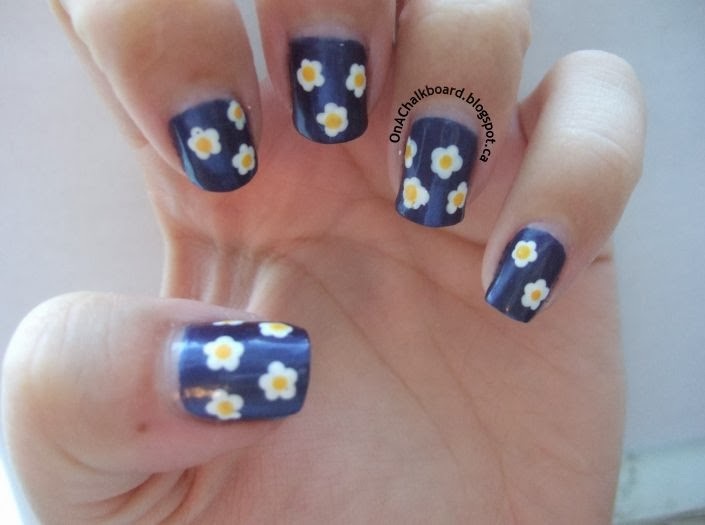 Continue with the dotting tool, and add 3 more small white dots in an arch shape, just on top of the dots from the previous step. 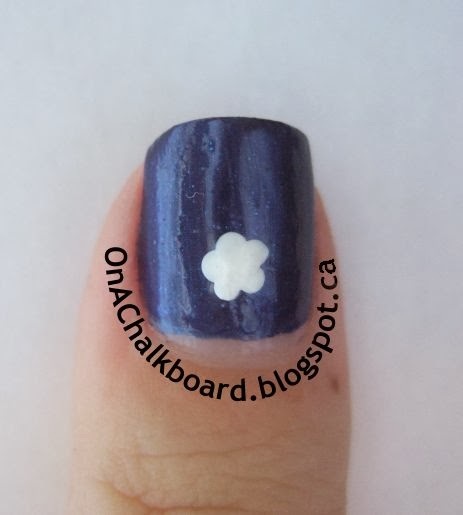 Make sure that no blue is peeking out of the white flower – it should be solid. 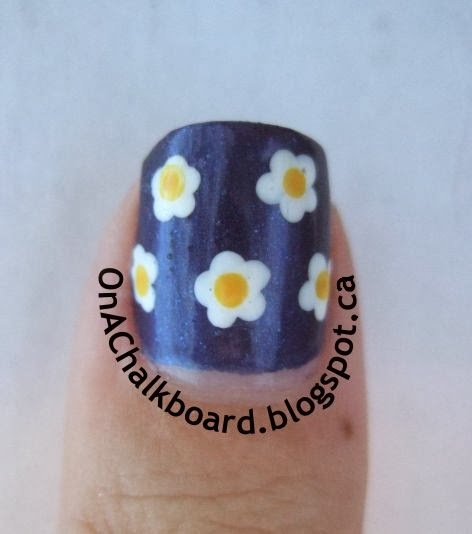 Using the small end of a dotting tool, add a small yellow dot into the center of the flower. Repeat the previous 3 steps as many times as you like on any remaining empty blue space, in order to achieve your desired look. 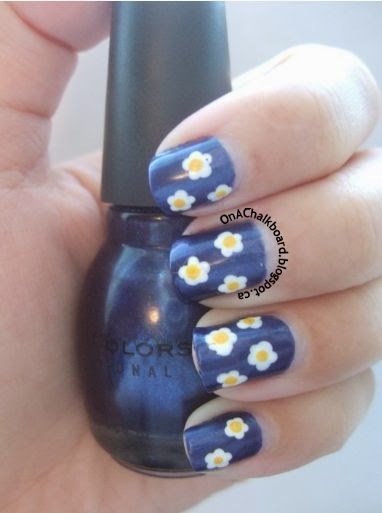 This step is optional, but to add some extra dimension to your nail art, top it off with a matte topcoat. If you like this tutorial, and are looking for another flower-inspired look, check out my matte pinstripe rose tutorial HERE. You made this looks so simple and easy! So cute!